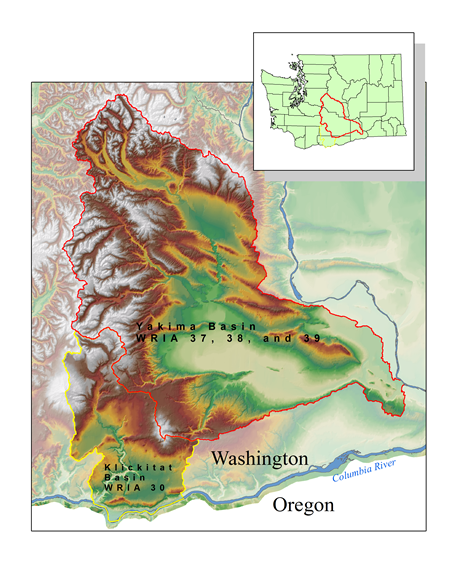 The YKFP is a joint project of the Yakama Nation (lead entity) and the Washington State Department of Fish and Wildlife (WDFW), and is sponsored in large part by the Bonneville Power Administration (BPA) with oversight and guidance from the Northwest Power and Conservation Council (NPCC). The YKFP is among the largest and most complex fisheries management projects in the Columbia River Basin in terms of data collection and management, physical facilities, habitat enhancement and management, and experimental design and research on fisheries resources. For more information on either the Yakima or the Klickitat project components of the YKFP, click on a text link above or one of the subbasins on the map.